Do your kids love to play computer and iPad games but you wish there were more opportunities for them to be learning when they spend time on those devices? Well you’re in luck! ABCYA online interactive learning games are an awesome way to entertain your kids while making sure they’re learning and developing their young minds! ABCYA began when a group of teachers got together to discuss the need for education and interactive games for students to play on the computer. They pulled together their resources and skills to design the ABCYA website which includes games, quizzes and interactive activities for grades kindergarten through 5th grade. The games are safe and appropriate for kids to play, and totally free when used on a PC, making them ideal for the budget-friendly family! There’s a wide variety of cool, educational activities for elementary schoolers that are fun to play while helping students practice different subjects including math, language, science, music, and other creative interests. To visit the website, simply google ABCYA or visit http ://www.abcya.com. Why Is www.ABCYA.com So Popular? When teachers decided to create this website, their first goal was to make an online site that is able to be used on a desktop computer. They wanted the site to be easy to navigate and search, and extremely educational for students in a short amount of time. While the desktop version of the site is free (making it an amazing value), there are apps for the site to be purchased for a small fee, that can be used on mobile devices such as tablets and smart phones. Students will love watching and interacting with the animations full of ABCYAs fun characters like a penguin, robot, and duck. Parents love ABCYA because they can get their child set up and then let them navigate the site to choose which games they want to play. All of the games are appropriate for children, and parents don’t need to worry about accidentally exposing them to anything they shouldn’t see. The games for fifth graders are fun and unique and will keep your fifth graders’ attention the entire time they’re playing the games. A really popular 5th grade game is the The Keyboard Challenge game. 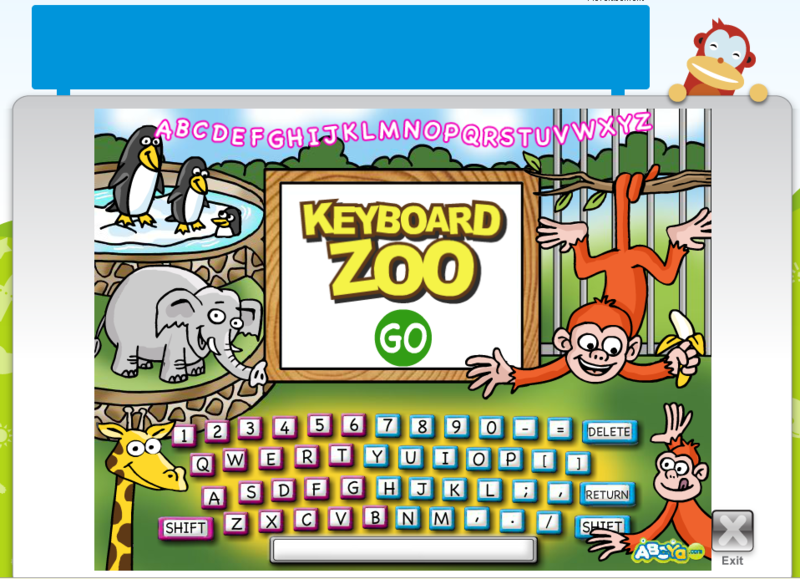 This game is designed to help students learn their keyboarding skills, to develop their accuracy and speed so they don’t have to look at the keyboard as they type. In this game, the keys on the keyboard are all jumbled up, and its up to the player to put the keys back in the right place. Sugar Sugar is another popular 5th grade game. This is an interactive game to help students practice their logic skills. The creator of the game aimed to develop different puzzles to help students think critically throughout various steps in the game to reach a solution. There are so many great games on abcya.com that it’s tough to know where to begin with the recommendations! Snail Bob is one of the most popular games on the site. This game has multiple levels, requiring students to navigate a snail through the animation world that he lives in. Snail Bob requires trouble shooting skills and will help kids learn through trial and error. There’s an entire page of holiday themed games. Whether it’s Christmas or Halloween, there’s plenty of games to pull some fun holiday spirit into the learning process. Christmas Lights is one of the most popular ones right now! It helps students ages 4 – 6 develop their motor skills. Make A Car is a fun game that works on multiple different types of computers. It’s designed for all ages, and kids can drag and assemble different parts on the screen to build a car. If your child is interested in cars and racing, they’ll love Road Rally. Students race a car, collecting different coins and fueling up as they try not to hit other cars on the road. 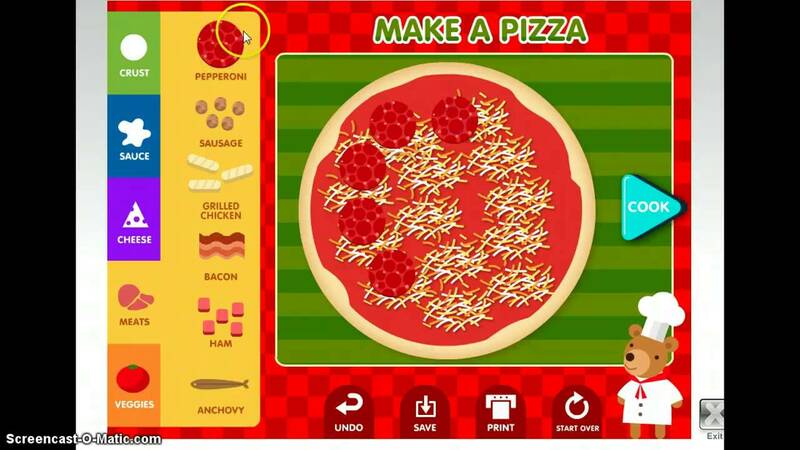 The game Make A Pizza is perfect for grades k through 1. 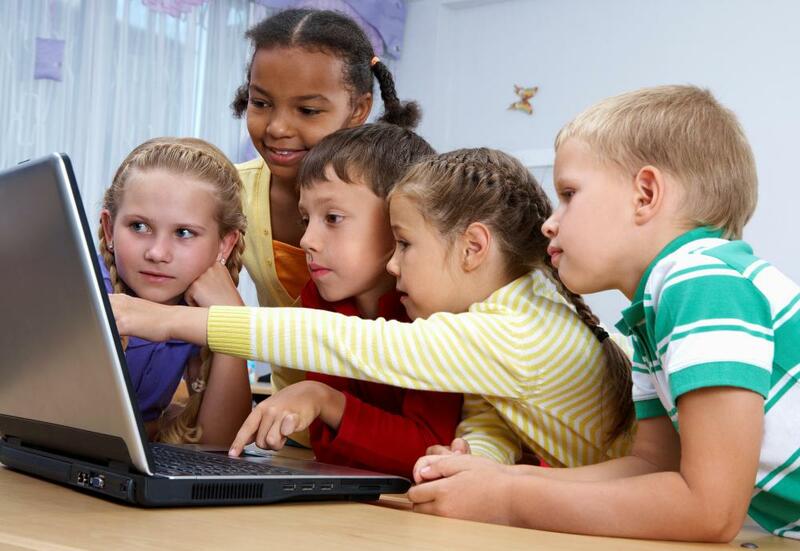 They learn to use the computer mouse in order to build a pizza with their favorite toppings. If your kiddos need to practice their telling time skills, Tell Time will help them make great strides! Alphabet Match is a great way for your youngster to learn to identify the letters of the alphabet. If you’re looking to give your fifth grader some practice with their basic science and physics homework, Rotate and Roll is a great way to do this! These are just a few examples of the many fun and educational abcya games. There are so many more!! No matter what subject your 3rd grader could use a little extra work in, ABCYA has a game to help! Alphabet bingo is an extremely popular game for third graders to work on their reading skills. The game is designed to be a creative way to quiz your child on their words. 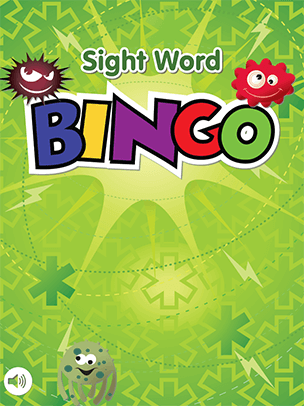 If your student needs practice on their sight words, Dolch Sight Word Bingo is a great choice. Students listen to words through audio and then select the correct word on the screen in front of them. You’ll notice a huge improvement in how quickly your child recognizes sight words if they start to play this game on a regular basis. The Math Man is a game app designed around the popular Pacman game. Math Man helps students to fine-tune their addition, subtraction and multiplication skills as they race through the connecting the dots to solve problems. As they solve problems, they avoid ghosts just like in the original Pacman game. This is a great alternative to the original game as students get all of the fun that Pacman offers with the bonus of practicing their math problems! Place Value Hockey is another popular one for 3rd graders also! If you have an artistically inclined student, ABCYA has a lot to offer! Even if your child might not be drawn to the arts, they can help your child to develop both sides of their brain. These games are fun and students can be as creative as they want. Paint Go is a fun activity where students can have fun painting, drawing, or coloring to make different art projects. You can print these at home or order prints they make something you want to frame or hang on the fridge! Abcya Animate! is a super fun way for students to make animations. There’s a version specifically designed for 6th graders that helps them to learn about coloring, framing and design. Who knows, your child could be the next Pixar designer! If your child is a puzzle lover, Tangram Puzzles is a great game to help sharpen their puzzle solving skills. The Tangrams game is designed to require the student to shift and rotate different shapes until they all fit together. Boxmen is also a fun puzzle app where you use tiles to build puzzles. These games are also great for a child who might not enjoy puzzles but could use a bit of work on their logic skills. For students who love to tell stories, the Story Maker is a way for kids to write their own short stories and design them into books. They can add pictures and designs to create their own piece of art. For outdoor adventure loving kids, Mountain Hop is an arcade style game where kids work to move a rabbit down the mountain, avoiding obstacles on the way down. ABCYA math games are a total blast for all ages! These games help students develop skills in various types of maths like counting, addition, learning what a fraction is, multiplication and more. 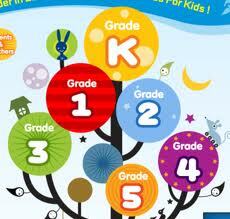 There’s a wide range of math games available for kindergarten and 1st grade, all the way through 5th grade. If your student needs work on word problems, have them play Word Clouds where they can build graphical representations of words. The game works best if you enter a minimum of 2 or 3 words, but more works to form a cloud too! If your 2nd grader needs help learning to count, there’s a game for that! Or perhaps your 6th grader needs practice with number fractions. There’s a game for that too called Fraction Fling where kids have to pop a fraction bubble and then solve the problem. There are 5 full rounds to play before the game ends, or until the player runs out of rocks to throw in order to pop the bubbles. Learn To Count Money is a fun game for youngsters to start learning those basic life skills that everyone needs to have. Jet Ski Addition is a racing game for multiplayers. Students race to answer questions faster than the other players. Other fun games for second graders are Math Facts Basketball, Math Lines Addition, Connect The Dots, Dot to Dot, and Marble Math. If students have completed a lot of math games and feel like they’re ready for the next level of challenge, they can take a quiz to test their knowledge. There’s lots of opportunities for fourth graders to learn on abcya.com. In the game Label The Bones, students can learn the parts of a skeleton by labeling different bones on the body. Word Frog is a popular 4th grade game that helps students identify and match antonyms, synonyms and homonyms. Are you looking for a way to help your students learn to type correctly with speed and accuracy? 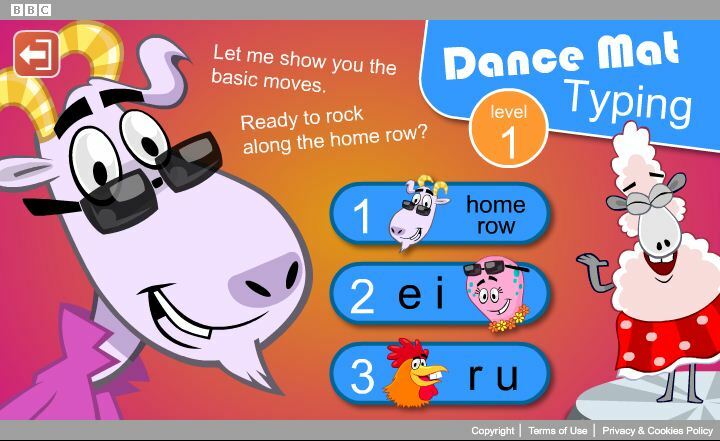 Dance Mat Typing is an extremely popular game for students to learn how to type correctly, while doing it all to the beat of fun music! Students will learn to type in rhythm, keeping consistent speeds and striking specific keys at the proper time. The Cup Stack Typing is a cup stacking game that requires students to stack and unstack cups by typing the keyboard letters that are associated with them. If you’re looking for more specific information on ABCYA games, take a look at our blog post on Why Your Child Should Play ABCYA Games. We also reviewed 5 Popular ABCYA 5th Grade Games if you’re looking to keep your 5th grader learning and entertained! ABCYA is quickly becoming popular with families of elementary school kids because they truly are such fun and interactive games. In today’s age, it’s important that the things we expose our children to are safe and trustworthy, and ABCYA is exactly that!